In Kutten v. Sun Life Assur. Co. of Canada, 13-2559, 2014 WL 3562784 (8th Cir. July 21, 2014), the 8thCircuit Court of Appeals reversed a district court’s finding in favor of the plaintiff, who was disabled by retinitis pigmentosa, a progressive eye disease that can eventually lead to blindness. The Sun Life Plan which provided long-term disability income protection included an exclusion for pre-existing conditions, defined as “during the 3 months prior to the Employee’s Effective Date of Insurance the Employee received medical treatment, care or services, including diagnostic measures, or took prescribed drugs or medicines for the disabling condition.” At his doctor’s direction and under his doctor’s supervision, the plaintiff took 15,000 units a day of a non-prescribed, over-the-counter vitamin A palmitate supplement. The National Eye Institute supported the plaintiff’s course of treatment, and, though his vitamin A supplements could not cure his retinitis pigmentosa, they could slow the disease’s rate of progression. According to Sun Life, the plaintiff’s daily use of vitamin A supplements at his doctor’s direction qualified as a “medical treatment.” Because he received his “medical treatment” during the three-month period prior to the Plan’s effective date, the Pre-Existing Condition clause barred full benefits. The district court granted the plaintiff’s motion for summary judgment, finding that Sun Life abused its discretion in construing the Pre-Existing Condition clause to apply to the taking of supplements. 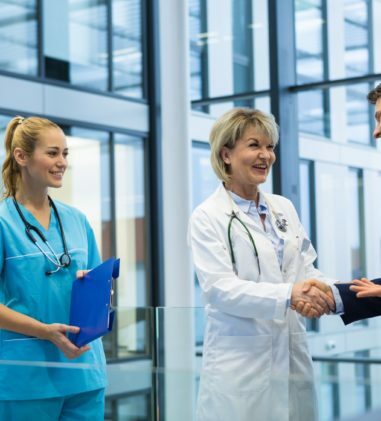 According to the district court, Sun Life’s broad interpretation of the phrase “medical treatment” was contrary to the Plan’s plain language and rendered portions of the clause meaningless and internally inconsistent. The Court of Appeals reversed, reasoning that the plaintiff had a known, debilitating disease for which he undertook the only treatment plan he could, at his doctor’s direction. Though the Pre-Existing Condition clause’s literal language did not neatly fit his course of treatment, no one disputes that he had the disease and treated it during the relevant time period. The court found that Sun Life’s interpretation is consistent with the broader goals of the Plan and was not an abuse of discretion. Court Remands to MetLife Despite Its Abuse of Discretion. In Mirocha v. Metro. Life Ins. Co., 13 C 5724, 2014 WL 3558747 (N.D. Ill. July 18, 2014), the Court determined that MetLife abused its discretion in denying the plaintiff’s claim for long-term disability benefits. 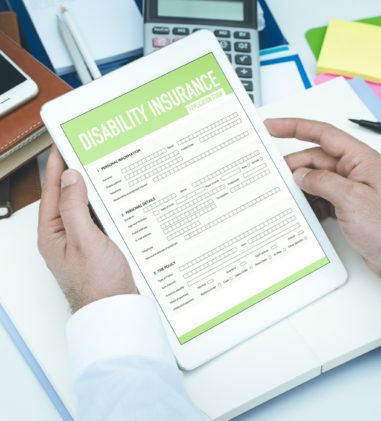 Because the plaintiff had never been determined to be disabled under the Plan, the court found that it is appropriate to remand his claim to MetLife for a proper determination of disability. Although the court recognized that in some situations courts have awarded benefits to a plaintiff whose claim of disability was arbitrarily denied, this court found that an award of benefits would only be proper in two situations. 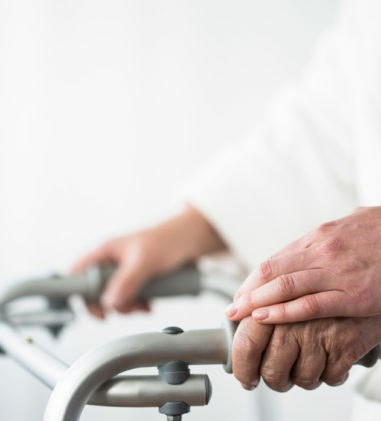 First, if the arbitrary decision canceled benefits that the beneficiary already had been receiving for a long-term disability, then courts sometimes require the plan to resume payments. Second, an award of benefits by the reviewing court is appropriate if the evidence is so clear cut that it would be unreasonable for the plan administrator to deny the application for benefits on any ground. The court determined that neither situation exists here. The plaintiff did not receive disability benefits from MetLife, temporarily or otherwise, and the court did not believe it was clear from the present record that the plaintiff is entitled to receive benefits. As such, the court remanded the long-term disability claim to MetLife to make the determination in the first instance. Discovery on Plaintiffs in ERISA Breach of Fiduciary Duty Action Allowed. In Colaco v. ASIC Advantage Simplified Pension Plan, 5:13-CV-00972-PSG, 2014 WL 3592806 (N.D. Cal. July 18, 2014), the plaintiffs alleged that in December 2010, ASIC and Microsemi Corporation began to discuss the possibility of Microsemi buying ASIC. The plaintiffs also alleged that ASIC’s President and Chief Executive Officer promised that contributions to ASIC’s Simplified Employee Pension Plan would be paid for 2010 and the first half of 2011. Defendants claimed that the alleged promises could not have been made because ASIC did not begin discussions with Microsemi until April 2011. Defendants served document requests on each of the plaintiffs. The 134 requests relate to specific allegations regarding the SEP Plan, and in particular (1) what promises were made by ASIC’s executives and (2) whether the plaintiffs signed the releases knowingly and voluntarily. Plaintiffs objected to the document requests, claiming that (1) the discovery was not authorized under the Employee Retirement Income Security Act and (2) that the requests were unduly burdensome and harassing. The court found that discovery beyond the administrative record may be appropriate for claims under ERISA Section 1132(a)(3) that do not arise from the written ERISA plan terms, as there may be no administrative record for such claims. Here, the plaintiffs have alleged inequitable conduct and breach of fiduciary duty on the part of defendants and the discovery would enable the defendants to prepare defenses for a fair and full trial. The court ordered the plaintiffs to respond to the discovery requests but declined to sanction them for opposing the discovery since the law was not well-settled on this issue. 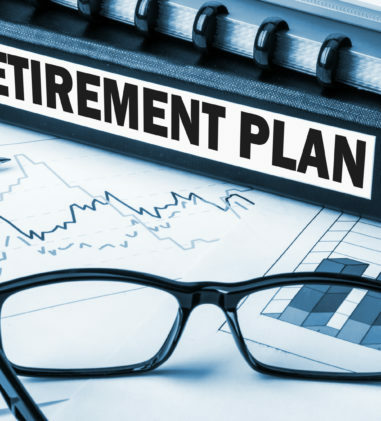 Government Retirement Plan Not Subject to ERISA. In Sharma v. Washington Metro. Area Transit Auth., CV 03-1768 (TFH), 2014 WL 3512866 (D.D.C. July 17, 2014), the plaintiff brought several claims against the defendants, including two ERISA claims against the Trustees of the WMATA Retirement Plan to recover benefits due under the plan and for breach of fiduciary duty. Defendants argued that the Retirement Plan is a governmental plan and that ERISA does not apply to government plans. The plaintiff argued that the Retirement Plan is not a governmental plan within the meaning of ERISA because it neither was established nor is maintained by WMATA, and instead operates independently of WMATA. The court observed that other courts in this circuit and in the Fourth Circuit have held that the WMATA Retirement Plan is exempt from ERISA. The court rejected the plaintiff’s arguments, finding that the Plan Document makes clear that WMATA maintains the Retirement Plan. The court granted summary judgment in favor of the defendants on the plaintiff’s ERISA claims. 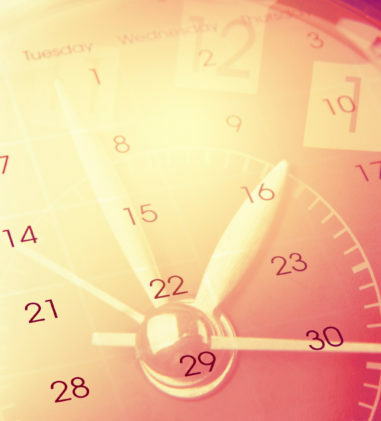 ERISA Claim Not Dismissed for Being Time-Barred. In Iron Workers St. Louis Dist. Council Pension Fund v. Zenith Am. Solutions, Inc., 13 C 7867, 2014 WL 3563295 (N.D. Ill. July 17, 2014), the court denied the defendants’ motion to dismiss with respect to the plaintiffs’ breach of fiduciary duty claim. The defendants claimed that the plaintiffs’ claim is time-barred. Under 29 U.S.C. § 1113, a plaintiff has six years from the last action that constituted a part of the breach or three years from the earliest date the plaintiff had actual knowledge of the breach or violation (except in the case of fraud or concealment) to file suit. Here, the defendants urged this court to consider the employment benefit plans, which purportedly establish the plaintiffs’ knowledge of the defendants’ breach based on provisions requiring regular review of the administration of the plans. The court considered the ERISA plan documents but found that those documents do not warrant dismissal at this stage in the action because a complaint does not have to anticipate and overcome affirmative defenses such as the statute of limitations. Here, the First Amended Complaint was silent as to when the plaintiffs learned of the breach and to find in the defendants’ favor would require this court to draw inferences against the plaintiffs, which the court cannot do at this stage in the action. Municipal Ordinance Preempted by ERISA. In Merit Const. Alliance v. City of Quincy, 13-2189, 2014 WL 3457605 (1st Cir. July 16, 2014), the 1st Circuit Court of Appeals considered two questions of considerable import, each of which implicates ERISA: 1) whether the reach of ERISA’s preemption provision, 29 U.S.C. § 1144(a), extends to a municipal ordinance mandating the establishment of a specific type of apprentice training program, and 2) whether the successful plaintiff is an appropriate “participant, beneficiary, or fiduciary” to whom fees could lawfully be awarded under ERISA’s fee-shifting provision, 29 U.S.C. § 1132(g)(1). The court found that ERISA specifically includes apprentice training programs in its definition of employee welfare benefit plans and a state-law mandate regarding the structure or administration of such plans falls within the ambit of ERISA’s preemption provision. 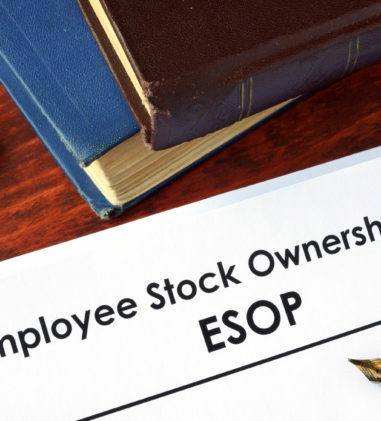 The Ordinance comprises such a mandate because it dictates the establishment of an employee benefit structure and sets the standards governing that structure. 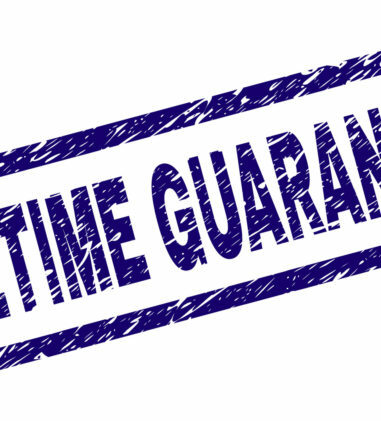 Even though a non-ERISA option might be available for compliance with the Ordinance, the availability of such an option does not save the Ordinance: its mandate still has the effect of destroying the benefit of uniform administration that is among ERISA’s principal goals. The Court of Appeals reversed the district court’s award of fees under ERISA’s fee-shifting provision, finding that the only possible plaintiff who might be entitled to an award of fees was not a participant, beneficiary, or fiduciary of any ERISA apprentice training program. Although he is a participant in a retirement plan, that plan is wholly unrelated to the contested apprentice training requirement. The court declined fees on this basis without ruling on whether the preemption challenge was an “action” in which ERISA fees could be awarded. Claim for Pension Benefits Preempted by ERISA and Time-Barred. In Smith v. Houston Pilots, CIV.A. H-13-0565, 2014 WL 3534684 (S.D. Tex. July 16, 2014), the plaintiff sued the Houston Pilots in Texas state court, asserting claims for quantum meruit and unjust enrichment, money had and received, and conversion. He subsequently amended his petition to include claims for unpaid pension benefits. The Houston Pilots removed on the basis that some of the state-court claims were preempted by ERISA, and the court denied the plaintiff’s motion to remand. The Houston Pilots then moved for summary judgment on all claims and sought attorney’s fees. In granting the employer’s motion, the court found that the plaintiff’s amended petition seeking recovery of the pension benefits that he would otherwise be entitled to receive had the Houston Pilots not “forced” his retirement fits within ERISA § 510, which is designed to prevent employers from discharging their employees to avoid paying ERISA plan benefits. As such, the allegations are preempted by ERISA. 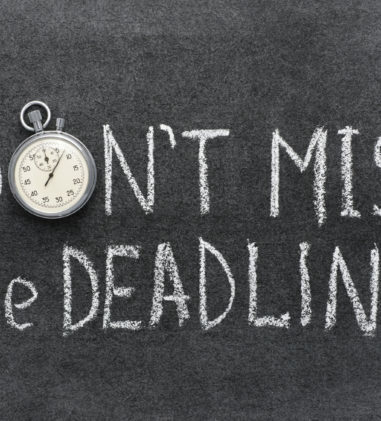 Although ERISA does not state the statute of limitations for § 510 claims, the court looked to Texas state law for the most analogous state-law limitations period. Because § 510 proscribes specified acts of discharge and discrimination, the analogous state statute of limitations applies, which is Texas’s two-year statute of limitations for wrongful discharge and discrimination. The court found that the plaintiff’s claims accrued on February 10, 2010, the date the Houston Pilots notified Smith that he was no longer a member of the Houston Pilots because he no longer met eligibility for Membership requirements. The plaintiff did not file his amended state-court petition asserting the pension-benefit claims until February 13, 2013-over one year after the limitations period expired. On this basis, the court granted Houston Pilots summary judgment dismissing the plaintiff’s ERISA claims. Court Finds For Employer on ERISA Breach of Fiduciary Duty Claim. In Lucas v. Steel King Indus., Inc., 13-CV-535-WMC, 2014 WL 3509049 (W.D. Wis. July 16, 2014), the plaintiff alleged that defendant Steel King Industries, Inc. (“Steel King”) violated ERISA by failing to disclose information about the group life insurance policy it maintained. Specifically, the plaintiff contended that Steel King violated its statutory obligations under ERISA and breached its common law fiduciary duties by failing to disclose to its employees the termination of a group life insurance policy issued by Anthem Life Insurance Company (the “Anthem Policy”) and its replacement with a new group life insurance policy issued by Reliance Standard Life Insurance Company (the “Reliance Policy”). Among the consequences of this failure was a missed opportunity to maintain a life insurance policy on the life of her now deceased husband after he fell gravely ill and was diagnosed with a likely-terminal form of cancer. The Anthem Policy gave insureds the right to convert to an individual life insurance plan without submitting proof of insurability in the event that the group policy was terminated for one of four enumerated reasons, provided they did so by written application to Anthem within 31 days of termination. Steel King continued the Health & Life Plan for calendar year 2012, but it changed insurers from Anthem to Reliance Standard Life Insurance Company (“Reliance”). The Reliance Policy provides coverage for only active employees, not including those on leave as a result of injury or illness. Because the deceased husband was not an active Steel King employee on January 1, 2012 due to his chronic illness, he fell outside of the Reliance Policy’s definition of “eligible classes,” although he would have remained eligible for benefits for a while longer under the terms of the Anthem Policy were it still in effect. Steel King did not inform the employee of the termination of the Anthem Policy at the time the change in insurers occurred, nor did it advise him as to the possible consequences of, or opportunities presented by, this change on Lucas’s coverage. When the plaintiff submitted a claim to benefits to Anthem, it denied the claim because the employee did not convert his coverage to an individual policy. ERISA requires that the administrator of any employee benefit plan subject to ERISA furnish to each participant and beneficiary under the plan a copy of the summary plan description, and all modifications and changes within 90 days after he becomes a participant. The plaintiff argued that her deceased husband first became a participant in the Reliance Policy on January 1, 2012, which would have required Steel King to provide him with a summary plan description and all modifications and changes within 90 days. With respect to the plaintiff’s statutory violation claim, the court found that ERISA’s 90-day notification requirement did not apply to this case since the Reliance Policy itself was not a new employee welfare benefit plan. Rather Steel King’s Health & Life Plan has been a single, continuous ERISA plan since its inception based on its filings and in the way the employer structured the plan to provide uninterrupted benefits. With respect to the breach of fiduciary duty claim, applying the rule articulated in the U.S. Supreme Court’s Amara decision, the court found that the monetary relief plaintiff seeks for this alleged breach of duty is theoretically available under ERISA’s “catch-all” provision. The plaintiff sought $25,000 as “compensation” for a loss allegedly resulting from Steel King’s breach of its fiduciary duties to her husband. The court found that the change in insurance provider, particularly where the terms of the coverage and eligibility changed, seemed significant enough to justify requiring an affirmative disclosure. However, the court did not resolve whether the plaintiff had a viable breach of fiduciary duty claim because the deceased spouse actually lacked the right to convert his coverage, which precludes the plaintiff from recovering regardless of whether the employer breach its fiduciary duty. 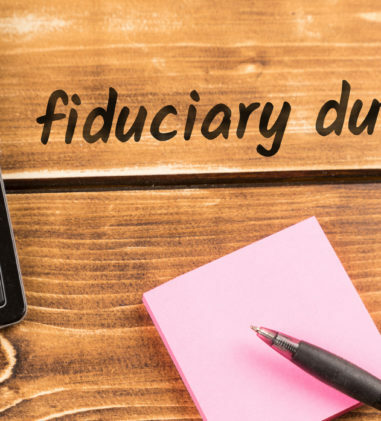 A beneficiary is entitled to relief for a breach of fiduciary duty only if the breach resulted in harm to the plaintiff. Accordingly, the court found that the defendant is entitled to judgment as a matter of law on this claim as well. Denial of Attorney’s Fees in LTD Lawsuit. In Koloff v. Metro. Life Ins. Co., 1:13-CV-02060 LJO JL, 2014 WL 3420990 (E.D. Cal. July 14, 2014), a suit challenging MetLife’s wrongful denial of long-term disability benefits, the plaintiff sought an award of attorney’s fees for work done in filing an initial lawsuit (which was dismissed without prejudice because the plaintiff had not exhausted administrative remedies by filing an administrative appeal with MetLife) and for time spent pursuing a subsequent administrative appeal and second lawsuit. MetLife notified the plaintiff’s counsel prior to the initiation of the second action that her long-term disability benefits would be approved and issued a formal notification of the approval only three days after the Complaint was filed. Consequently, the court did not reach the merits of the case, and in considering a number of relevant factors, declined to award attorney’s fees. Wealth Accumulation Plan Deemed an ERISA Plan. In Tolbert v. RBC Capital Markets Corp., 13-20213, 2014 WL 3408230 (5th Cir. July 14, 2014), the plaintiffs, former employees of the defendant (“RBC”) who participated in a wealth accumulation plan (“WAP”) during their periods of employment, brought a lawsuit challenging a forfeiture of portions of their WAP accounts when they left their jobs at RBC. The plaintiffs alleged that the forfeitures amounted to violations of ERISA. The district court granted RBC’s motion for summary judgment, concluding that the WAP is not subject to ERISA because it is not an “employee pension benefit plan.” The 5th Circuit Court of Appeals reversed and remanded, finding that the WAP is an “employee pension benefit plan” because although it did not provide retirement income to employees, it resulted in a deferral of income by employees for periods extending to the termination of covered employment or beyond. Court Finds Claims Against MetLife Preempted by ERISA. In McGinn v. Metro. Life Ins. Co., CIV.A. 11-3025, 2014 WL 3489736 (E.D. La. July 14, 2014), the plaintiff filed a complaint on behalf of herself and her minor children against MetLife for denying their claim for accidental death benefits provided pursuant to the plaintiff’s late husband’s life insurance policy sponsored by his former employer. MetLife issued the group insurance policy that provided benefits under the employer’s benefit plan. The plaintiff filed this lawsuit in Louisiana state court, alleging bad faith and breach of contract in violation of state law. After defendants removed the action to this court, it filed an answer alleging that plaintiff’s state law claims were preempted by ERISA. 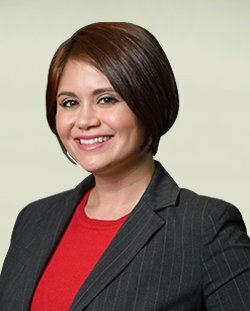 Plaintiff disputed that ERISA preempts her state law claims and moved to deny and rescind MetLife’s coverage and protection under ERISA because it forfeited all rights under ERISA by failing to involve a plan administrator, as required by ERISA. 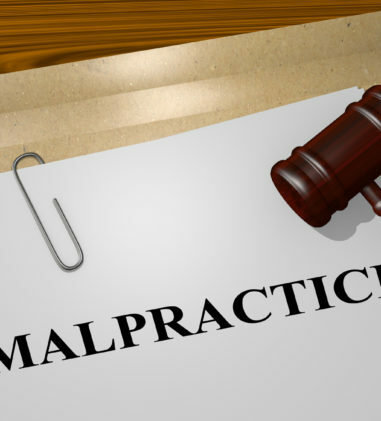 The plaintiff also contended that she was denied due process because the same claims adjuster and claims examiner, who originally denied the claim, then acted as judge/jury for the appeal. Defendant argued that the instant case is governed by ERISA because it is clear from the express terms of the Plan that it is governed by ERISA, that the former employer is the Plan Sponsor and Plan Administrator, and that MetLife is the designated Claims Administrator charged with discretionary authority to make claim determinations. The court found that the plaintiff’s claims are governed by ERISA because the accidental death benefit policy from which she seeks benefits meets the definition of an employee benefit plan as defined in ERISA. As such, the court found that her state law and constitutional due process claims are preempted by ERISA. Court Sanctions Employer for Spoliation of Evidence. In Osberg v. Foot Locker, Inc., 07-CV-1358 KBF, 2014 WL 3427321 (S.D.N.Y. July 14, 2014), the plaintiff filed a motion for spoliation sanctions against Foot Locker. In this matter, the plaintiff claims that Foot Locker violated ERISA through converting its defined benefit pension plan to a cash balance retirement plan by (1) issuing false and misleading plan descriptions in violation of Section 102(a) of ERISA, (2) breaching its fiduciary duties in violation of Section 404(a) of ERISA, and (3) failing to give plan participants notice in violation of Section 204(h) of ERISA. On February 23, 2007, plaintiff initiated the instant litigation, claiming that the converted plan’s “wear-away” effect effectively “froze” certain employees’ benefits, and that defendants’ adoption of the plan thereby violated ERISA. Defendants collected relevant documents and notified third parties of the lawsuit but did not issue a litigation hold until October 8, 2009. The court found that Foot Locker was negligent in its duty to preserve evidence that would have been helpful to the plaintiff. As such, the court determined that the appropriate sanction is that the court shall instruct the jury at trial-using wording to be determined at a later date-that it can infer from the fact that defendants lost certain evidence that the evidence, if available, would have been favorable to the plaintiff.